Preferably 2 people, but you could do it with one. 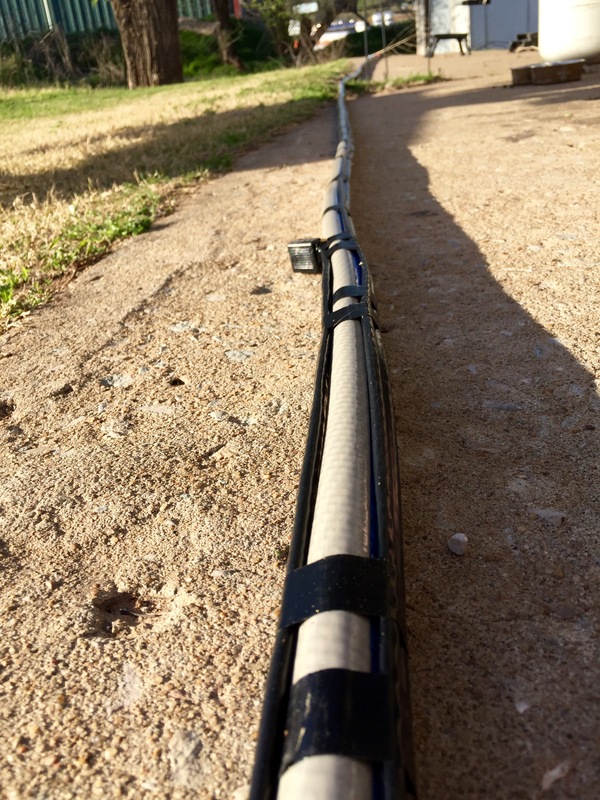 Start by laying out your hose and lay the heat cord out along with it. Use electrical tape to attach the two, spacing about every 8″ to a foot apart. If your heat cord is long enough, leave some hanging off the spigot end. Next, put your foam pipe insulation around the duo, trying to have the heat cord away from the slit opening. 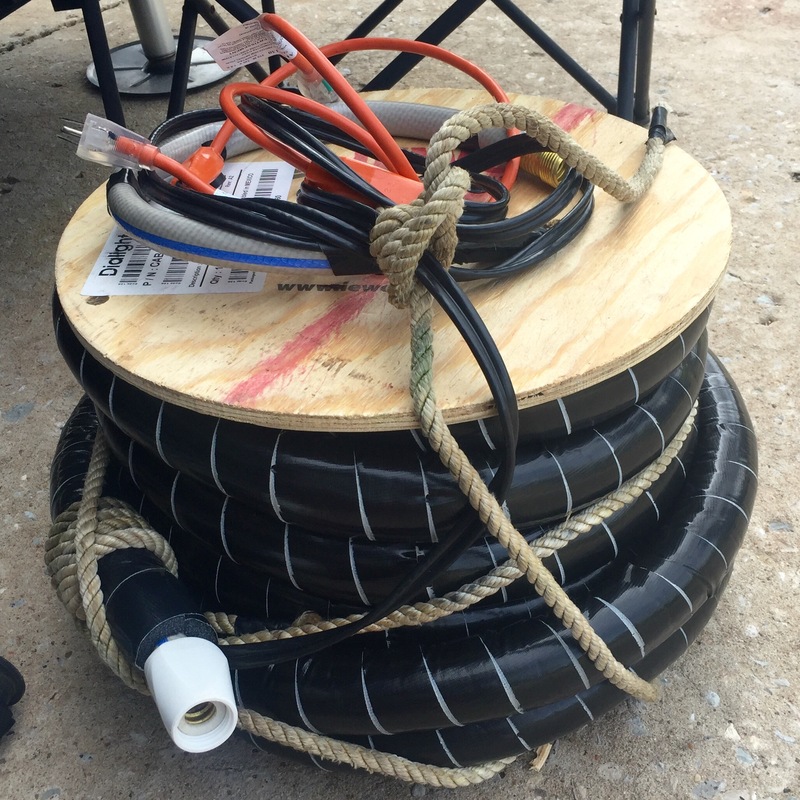 We bought 7/8″ foam and it fit our 5/8″ hose with the heat cord perfectly. 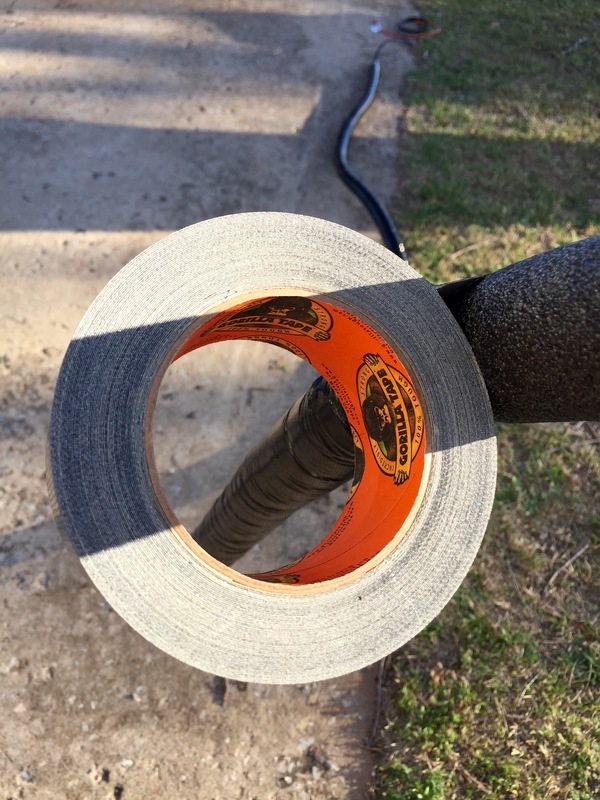 Use the Gorilla or Duct tape and wrap the foam, overlapping each wrap to keep it waterproof. Done! We wrapped ours around a little wooden spool Allen grabbed from work to make it easier to store in the cubby. All-in-all our 50′ heated water hose cost us about $135 and took a couple of hours. At least we will be prepared if we get sent to North Dakota in November again! 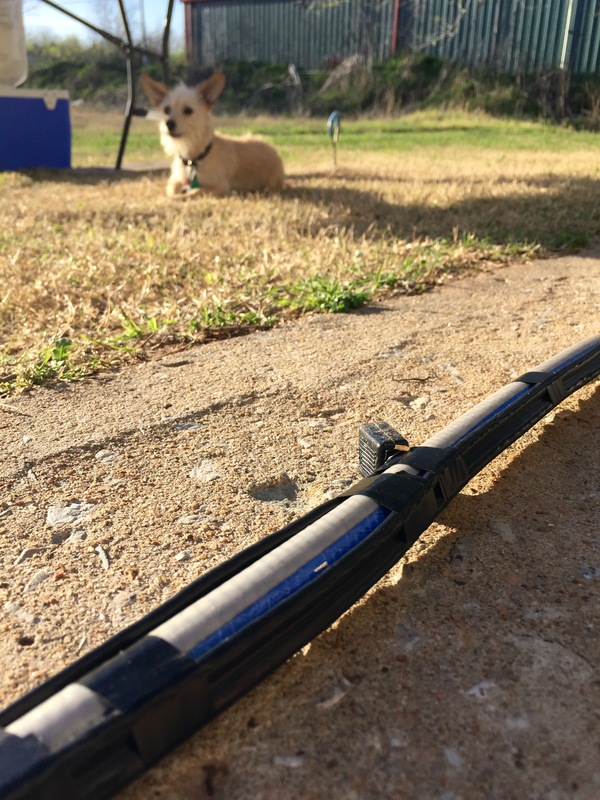 This entry was posted in 2015 Grand Design Momentum 385TH, Camper, DIY, Projects, RV, Traveling and tagged camper, camping, DIY, drinking water hose, heated water hose, how to, RV, RVing, winter by Rachel Gillen. Bookmark the permalink. Please be careful of using hoses like in this article. 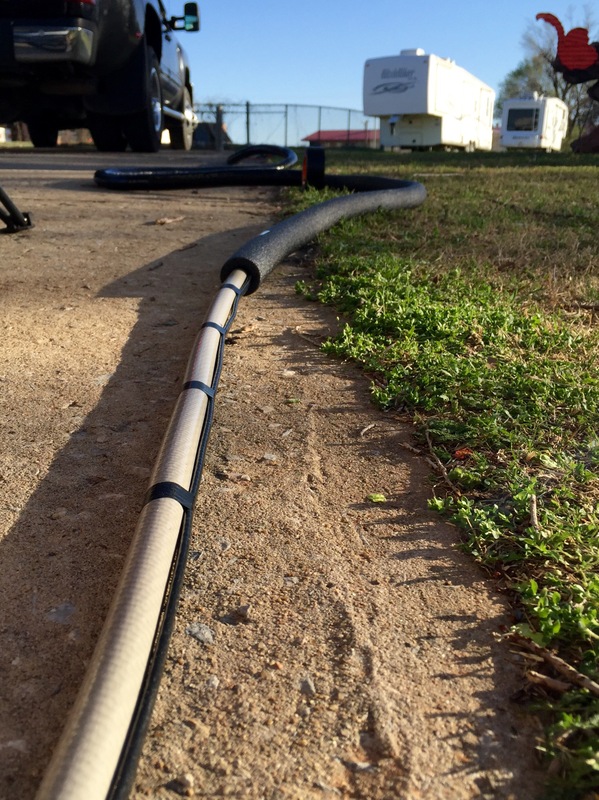 Regular white Rv hoses or thin garden hoses, can and will get too hot especially with heat tape on both sides. They are not meant to be in contact with a heat source and I have seen them cause fires. Use white pex pipe, find it at plumbing or hardware stores.